We love ice cream so much! We love to make it, buy it, eat it, play with it, and of course craft it. 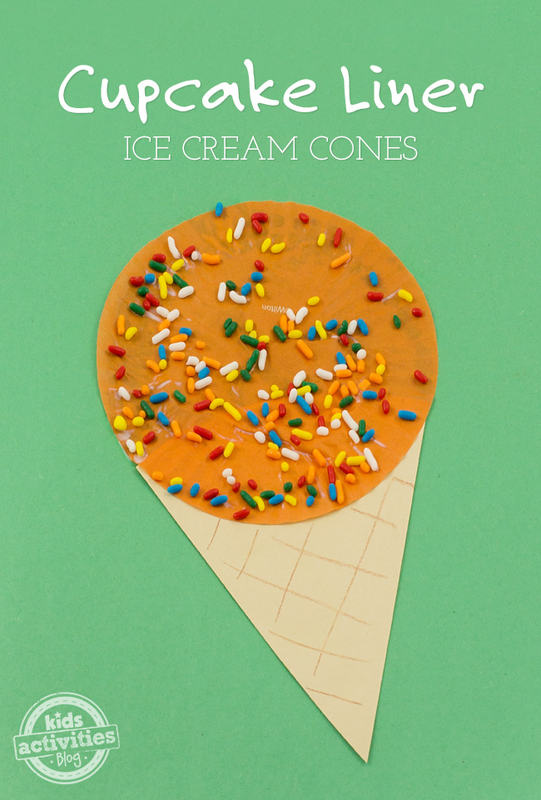 Shared below is an easy ice cream craft for kids, Cupcake Liner Ice Cream Cones. 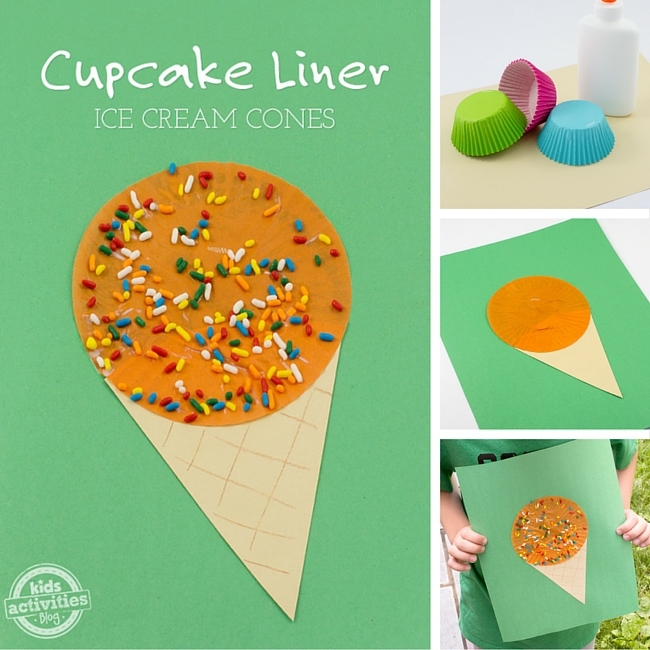 Kids of all ages will enjoy using vibrant cupcake liners to create one-of-a-kind ice cream art! This craft is great for home, school, or camp. Perhaps just like real ice cream, the best part is topping off the cupcake liner ice cream with colorful sprinkles. My kids couldn’t help but eat a few while they worked! Related: If your kids love to “play” with their ice cream, they may enjoy this Melted Ice Cream Playdough. After gathering your supplies, use the brown crayon to draw a triangle on the brown/beige construction paper. Use the scissors to cut it out. 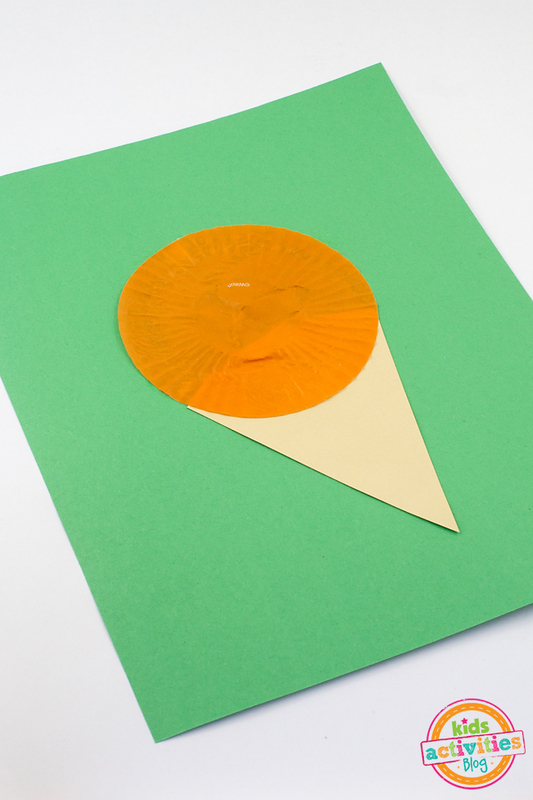 Flatten a cupcake liner, then glue both the triangle and cupcake liner onto a piece of construction paper as shown below. Squirt a blob of glue into the middle of the cupcake liner. 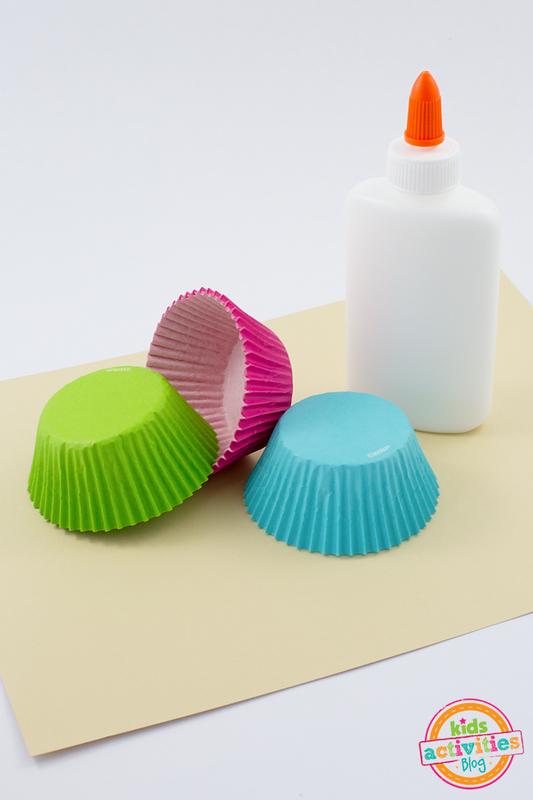 Show kids how to use their finger to smear the glue around the entire cupcake liner. 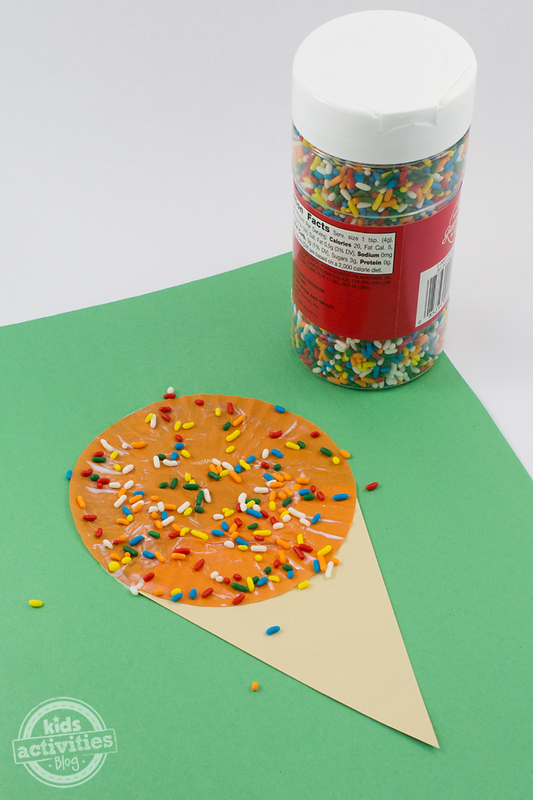 After the kids have cleaned their fingers, allow them to decorate their cupcake liner ice cream cone with sprinkles or chocolate jimmies! 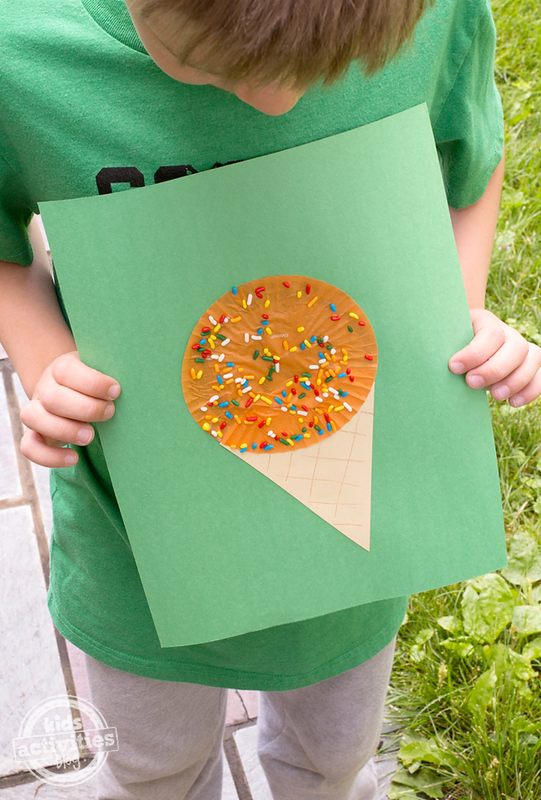 When the cupcake liner ice cream cone is dry, use the brown crayon to draw waffle lines on the ice cream cone. Allow the art work to dry completely before hanging or giving away to Grandma! Then celebrate a job well done with a frozen treat!